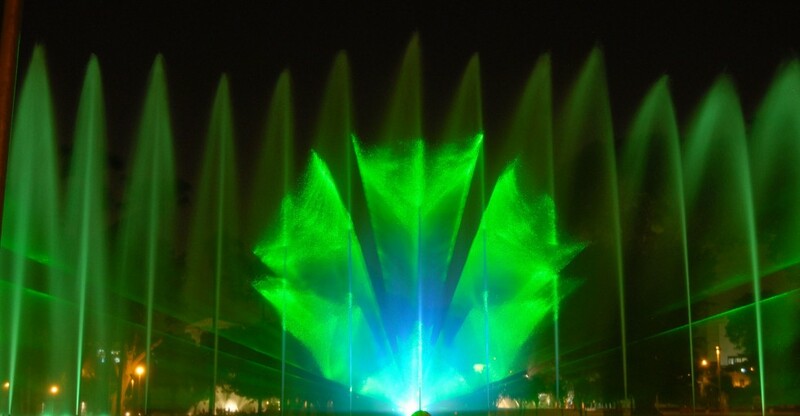 Colour-changing LED effects at the Fantasy Fountain, Magic Water Circuit, Lima. 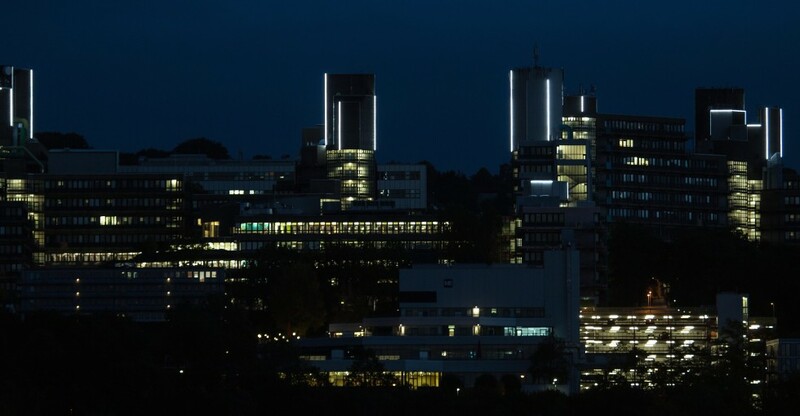 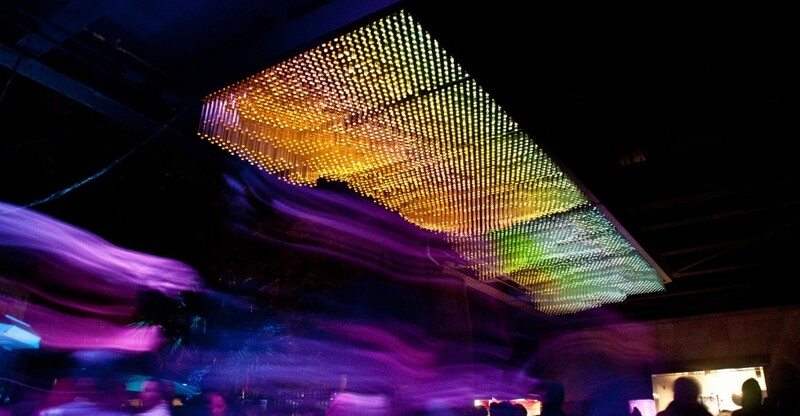 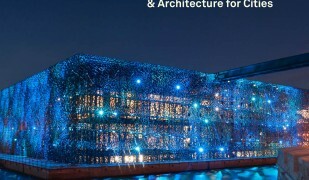 MetaLicht, by Mischa Kuball, a skyline celebration using white LED tubes, at the Bergische University Wuppertal, Germany. 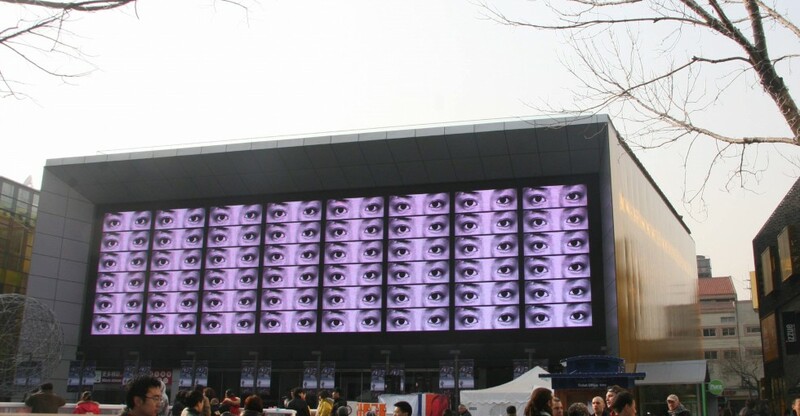 Code (v2) cinema presentation, Beijing, by Laurens Tan. 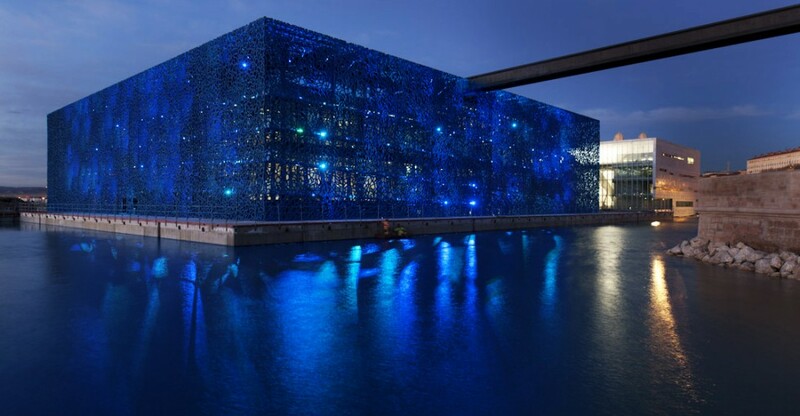 Mer-veille by Yann Kersalé, at MuCEM in Marseille, architect Rudy Ricciotti. 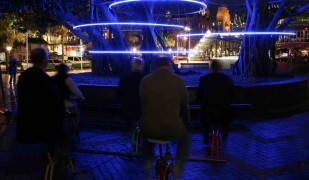 Photo Matthieu Colin. 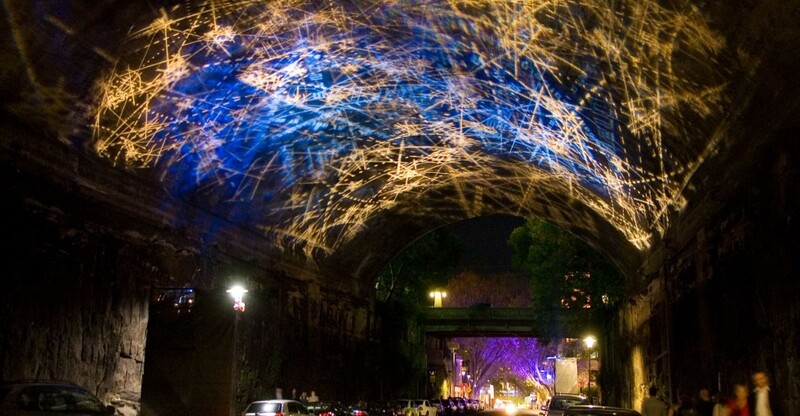 rocklights by Ingo Bracke, projected on a historic sandstone roadway vault, for Sydney's 2009 Vivid festival, photo Matt Flynn. 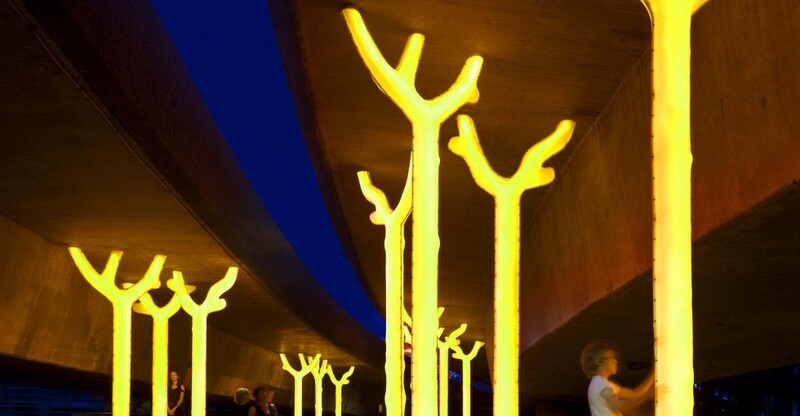 Aspire light trees by Warren Langley, clustered in the Pyrmont underpass of a Sydney motorway. 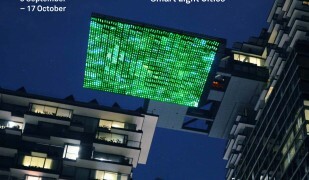 Crystallized, a pixel screen by Andrew Daly and Katharine Fife.